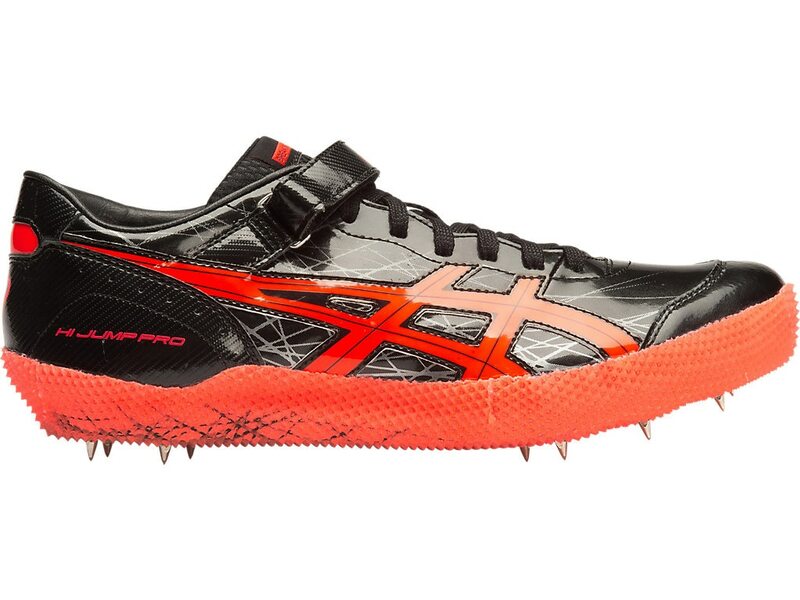 The new HIGH JUMP PRO track & field spike features an asymmetrical sole design (left foot take-off) and formfitting upper for the ultimate high-jumping performance. The 11-pin spike configuration allows for variable traction patterns, while the light weight shark skin outsole minimizes scuffs and scrapes. Provides increased traction on various track surfaces. Constructed for optimal take-off position for left foot take off jumpers.